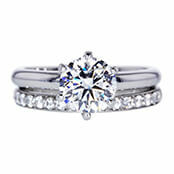 Getting a fair market price on used diamond jewelry in Detroit is no easy task. There is no lack of places that a jewelry seller could go, including their local pawn shop or dealer. However, getting your precious jewels eyeballed and then undervalued by a single buyer is almost an inevitability. No matter the reason why you are selling or what the item itself is, such as a personal heirloom or simply a gift from an ex, you will be expecting a quote that is equitable to what the market would pay. Instead of walking around and haggling at each jewelry store in the area, which is a risky and tiresome task, those looking to sell their items can now trust Worthy.com to create a competitive market with no extra hassle before reaping the rewards. Where Can I Sell My Jewelry in Detroit? There are many places where you can receive an offer for your used diamond jewelry in Detroit, but some places are better than others. Do your research to figure out what path works best for you and how to get the best results in Detroit. 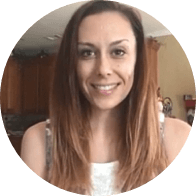 Local Detroit Jewelry Buyer: Dealers in Detroit are usually not very competitive with one another because they all operate under the same “buy low, sell high” model that comes to selling new jewelry. This makes buying used jewelry near its original value a very unlikely outcome, and if a seller gets an offer at all, it will not likely be a fair price due to lack of demand. To drive demand up, sellers must travel between these local shops and entertain multiple offers, a big effort that is not guaranteed to do much. Worthy Network Jeweler: There are jewelers in your local area that work with us directly, and being in our network means they have access to the proprietary auction network that we run. These dealers can put your item in front of multiple buyers who have narrowed their own search results to find exactly what you have to offer, creating a competitive environment where real, qualified data about the jewelry informs its bidding trajectory. Worthy.com: An alternative to selling through a local buyer is to use Worthy’s online auction platform. You can sell your jewelry easily from home by providing information about the your piece which will be presented to an audience of relevant buyers. We then pay for insured FedEx shipping to and from our facility where it receives a professional photoshoot and GSI or GIA grading to demonstrate its real value to buyers. Unlike more traditional methods of selling jewelry, Worthy’s website gives you access to many buyers which can often lead to getting you the best price and the entire process is both insured and guaranteed. To get started, head to our website or contact us now. Detroit is a city with a rich history of industrial significance and most of the large American automobile manufacturers have had a headquarters here at some point. Other than car companies like GM and Ford, the city is known for Motown music – a word that is an amalgamation of ‘motor’ and ‘town’ and describes the pop-influenced soul music that originated here. The city has a history that is not tied into industrial progress as well. It was founded in 1701 under the same name, which means “the strait” in French. Due to its position between two of the Great Lakes, the city acts as a bridge between the United States and Canada. Detroit’s establishment was the first time a new city was founded west of the original 13 colonies, effectively making it one of the oldest cities east of the Mississippi River. Its position as a center for booming businesses made Detroit a sought-after place to live, and many modern necessities were invented there as a result. For instance, private phone numbers were not a common characteristic in the 19th century until Detroit residents popularized their use. 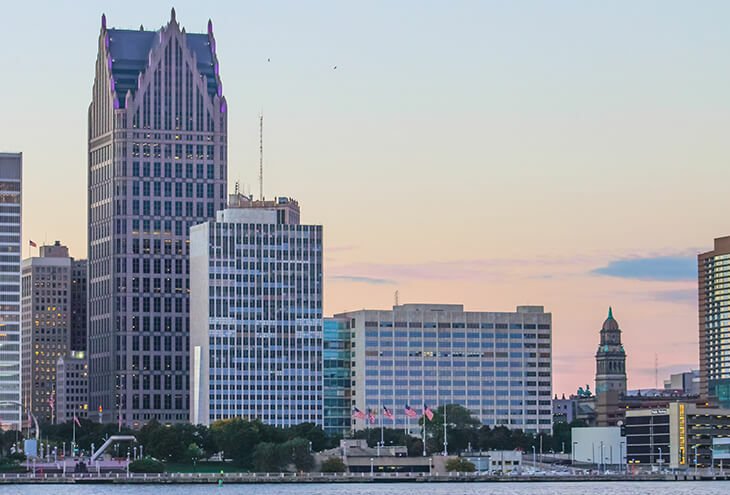 Downtown Detroit is a bustling location for nightlife, music, dance and theatre, with the number of playhouses and venues making the city’s theatre district the country’s second largest. A concentration of people always brings wealth in abundance, and the city is still home to a lively jewelry market for those who are looking to buy or to sell. How Do I Sell Jewelry on Worthy? 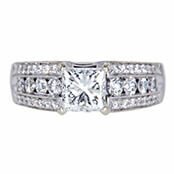 Claim Your Payment – If the highest bid meets or exceeds the reserve price set for your jewelry, you will get paid ASAP. If not, you may request to have your jewelry returned to you fully insured and free of charge. Objectivity: Unlike individual jewelers, who will appraise a piece the moment they lay their eyes upon it, Worthy lets the only the quantifiable traits of the specific item assign its value. 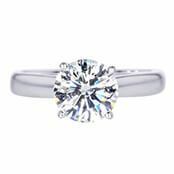 We handle this for free through official GSI or GIA grading, collecting as many details as possible from the original owner and taking precise photographs – all of which help buyers make the most informed decision and place their bids with confidence. It is also the best way to get a fair price, produced by a market with healthy traffic. Security: From the moment it leaves your home, the jewelry that you entrust to Worthy is fully guaranteed and insured. We pick up the tab on protected FedEx shipping and, should it be necessary, will cover the cost of damage and theft. 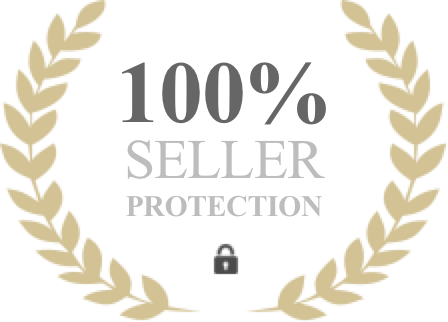 Additionally, we vet our buyers to ensure their trustworthiness and ability to pay, making for a secure system for putting jewelry on the wider market, no matter what it is or where it is coming from. Transparency: We keep you updated on the status of your valuable at all times, from the moment it is in transit until it reaches our facilities, and share the prices at which buyers are considering the purchase. We update you in real time and give you full control in setting your reserve price and more. If you are looking to sell jewelry in Detroit, your biggest concerns are the safety of your piece and the price you get for it. At Worthy, we have worked hard to create the best environment for jewelry sales. The moment your jewelry leaves your hands, we make sure it arrives at our offices with the help of insured FedEx shipping. Even if the worst happens, you will still receive the money your item is worth. At our offices, your jewelry will undergo an examination and be sent to an expert grading lab to receive a grading report to help us determine a trending price, indicating what to expect from the sale. We do not assign a price ourselves. When it’s ready, your item will be placed on our online platform where it can be seen by a large audience of relevant buyers. It’s a safe and simple process that’s hassle free. Thinking about using Worthy.com but have some questions or concerns? Our staff is happy to provide the answers, either by email or over the phone. Get in touch and start selling your jewelry today. Describe your diamond jewelry, and Worthy will show you how similar items auctioned online to give you an idea of its value.